Louis and I will be doing a talk and panel at University of Worcester this Sunday 16th November. 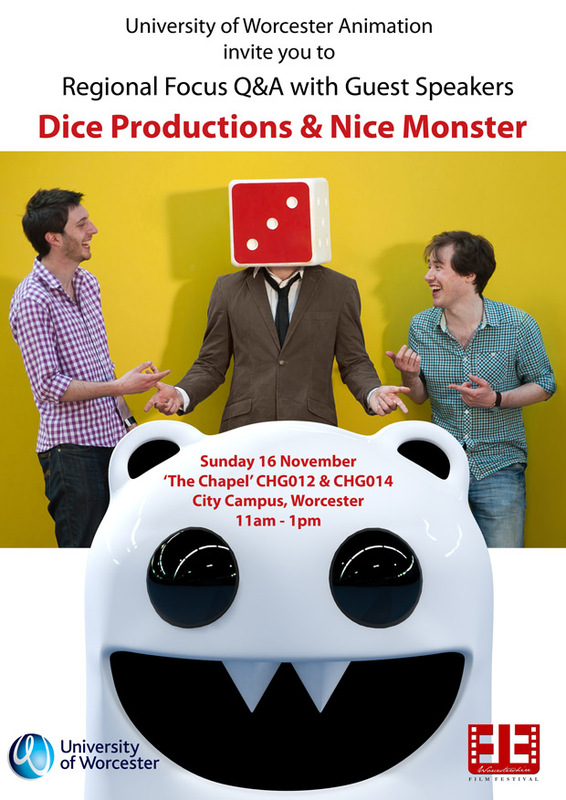 We’ll be showing some films, chatting and answering questions about animation and how we work as Dice Productions. Joining us will be friend and bearded wonder Steven Spencer of Nice Monster. The talk is 11am-1pm on Sunday 16 November at The Chapel CHG012 & CHG014, City Campus, Worcester.